I hope this message finds you all well. 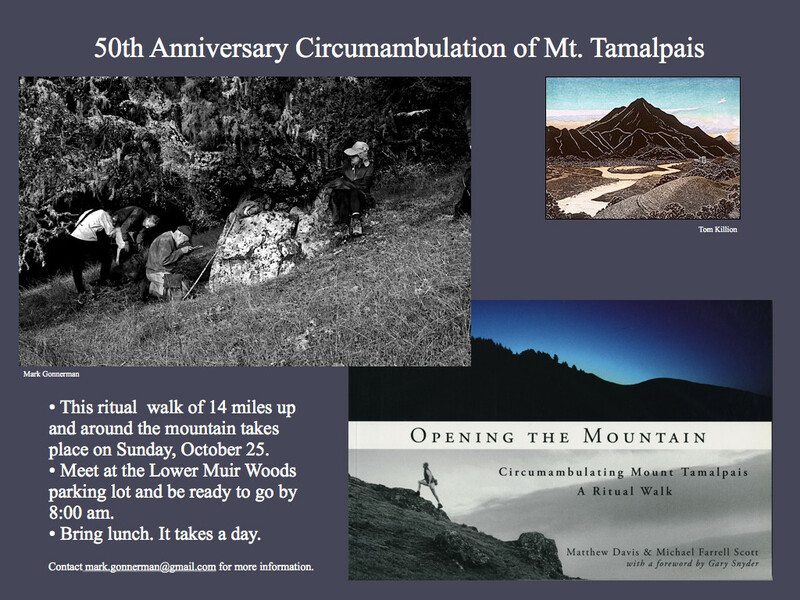 You’re receiving this message because, in some form or another, you’ve either expressed interest in joining or have been instrumental in helping guide the coordination of the 50th anniversary circumambulation of Mount Tamalpais on Sunday, October 25th, 2015 at 8am. Thanks to your gracious help, conversations and email communications, this event is shaping up to be a powerful one. 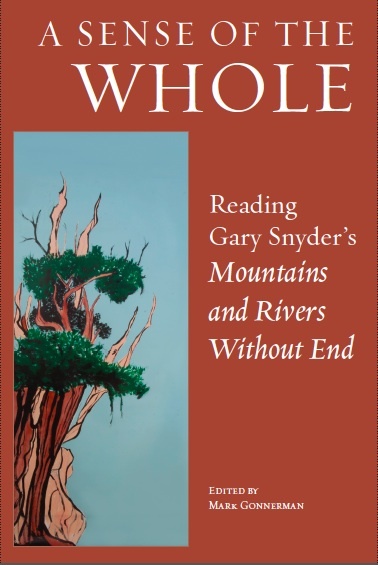 Now, I’m aware that the ritual CircumTam typically happens on the equinox and solstice weekends, but it seems extremely fitting to honor the original October 22nd, 1965, walk by Snyder, Ginsberg, and Whalen with a special spiral walk on the Sunday closest to this date. I also feel it timely and necessary to honor the life of Matthew Davis and his lifelong dedication to this important ritual. Where: Overflow parking lot at Muir Woods, by Redwood Creek. Who: Everyone is welcome. I’ve only sent this list to the core group, but please share. You are all experienced CircumTam walkers, so you know what to expect! Any personal items, prayer beads, etc. Thank you, again, for your help in making this a reality. I’ve spoken to most of you and have received great amounts of support and encouragement. I’m looking forward to meeting those of you I haven’t yet met. RSVP: If you could take a minute and respond to this message letting me of if you can make all of the walk, some of the walk, or cannot make any of it, that would be greatly appreciated. Also, if you have any recommendations or suggestions for making the event happen smoothly, please let me know. For those of you who have already made that clear to me, please disregard. Thanks again. I’ll look forward to your response, when time allows.